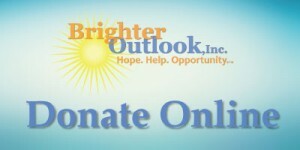 Brighter Outlook, Inc is a 501(c)(3) non-profit that needs the support of people and organizations like you! Please click the link below to be directed to our Secure Online Giving Portal. Thank you for your tax-deductible donations.